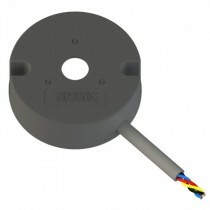 The H Series magnetic encoder devices currently can achieve up 5000 cycles on a 1 inch Magnetic Target Wheel. 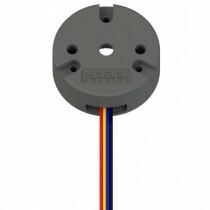 Phoenix America magnetic encoder is by design, a rugged cost-effective industrial grade product that uses magnetic technology to address the weakness of the more fragile optical encoder counterpart. 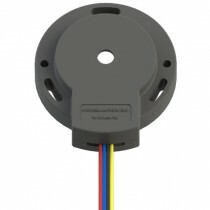 Intended for medium-resolution applications, it functions as an incremental angular position encoder when used with a multi-pole permanent magnet target wheel. Direction of rotation can be obtained from the two output channels that are 90° electrically out of phase. 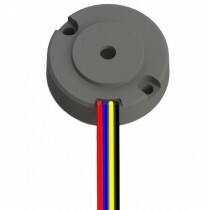 The final PPR count can be selected by the combination of internal programing of the sensor and magnetic pole count of the permanent magnet target. 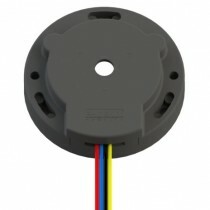 In linear applications, this sensor can also provide linear position information when used with a multi-pole permanent magnet strip instead of a magnet target wheel.